Black and Gold... Black and Gold... HELL YES! Expanding my Shoe Collection, and my Love love love for Spikes I finally got my hands on these Limited Edition Gold Unif Hellraisers. 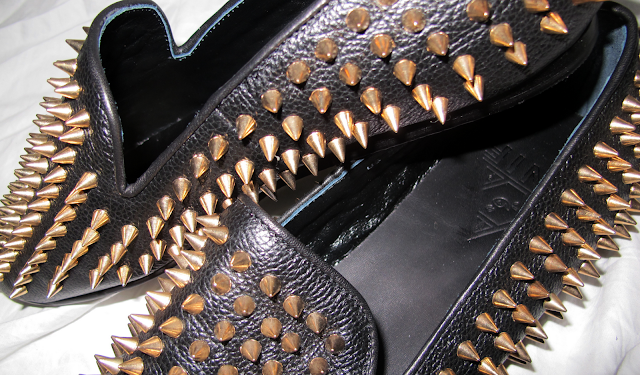 They're just like my classic Hellraisers... well instead with bright gold spikes. Aren't these puppies AMAZING?!?! Now I can mix and match my silver and gold pairs.